As the baseball season has reached the Midsummer classic, the Red Sox have put together one heck of a season. The next huge item on the baseball clock is the non-waiver trade deadline, at the end of the month. Heading into the trade deadline the Red Sox look to be in a good position to improve their team using both internal and external options. As you looked at the Red Sox a week ago, their new acquisition Steve Pearce was settling into his role nicely, and the Red Sox seemed to be set at every position on the field except in the bullpen. 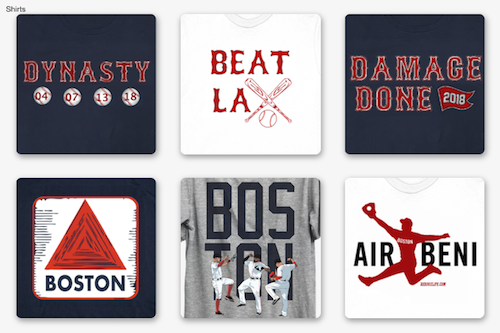 As the Red Sox head into the All Star break those plans have needed to be altered slightly. Starting pitcher Eduardo Rodriguez exited his last start early with a sprained ankle. As is always the case with Rodriguez, he was on a role and showing everyone exactly why the Red Sox love him. 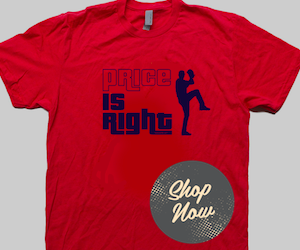 The front office may go out and try to get a starter, but there are few starters available for a cheap price. The Red Sox may be more beneficial stretching out Brian Johnson and Hector Velazquez until one of either Steven Wright or Drew Pomeranz can get healthy. One starter who is said to be available is Mets star Jacob DeGrom. DeGrom is going to cost the Red Sox a lot and their farm system does not have the prospects to pull this deal off. The internal options are still the best bet on this front. Johnson has been starting and has proved useful in his handful of starts this year. When he is starting however, the Red Sox may sacrifice a lefty bullpen arm. Velazquez has done well all year with getting people out and escaping trouble. Wright was dominate while he was healthy this year, and Pomeranz has been underwhelming this year, but when he is right he is a great pitcher who has experienced multiple success in the league. 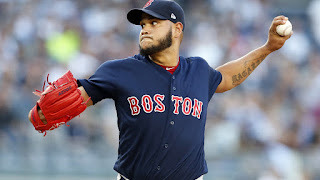 The way that Eduardo Rodriguez has been pitching, he is irreplaceable. While he is only slated to miss 4 to 6 weeks and will not be out for the entire season. It is going to be hard to rely on him for key production down the stretch. Rodriguez can never seemingly stay healthy and that is unfortunate for both Rodriguez and Boston. The Red Sox may try to make an offer for a lower level starting pitcher if any team is willing to part with one. Jalen Beeks may be a casualty of that trade. Sox have lost Carson Smith to the season and Tyler Thornburg is not up to speed yet. The Red Sox drastically need a bullpen arm. One arm who has been linked to Boston is with a very frequent trade partner. The Padres, and their closer Brad Hand. 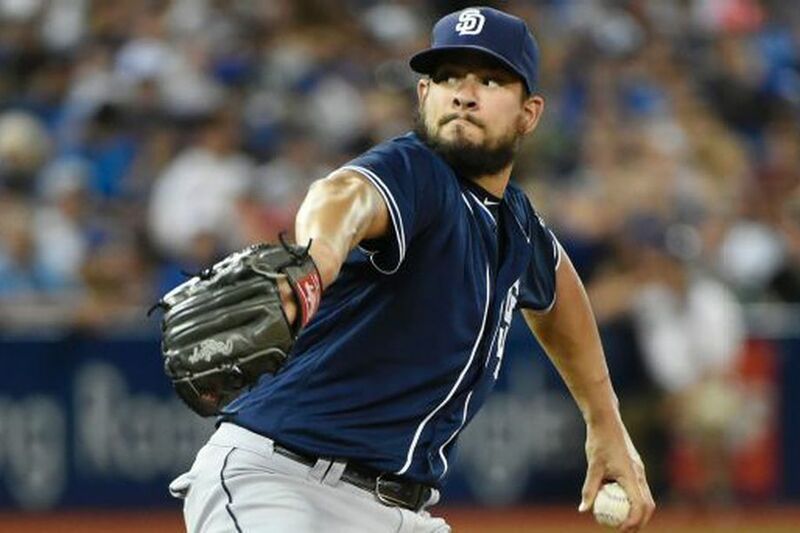 Hand has been a dominant lefty reliever, and he is serving as the closer for the Padres. If he were to come to Boston he would be thrown right into the setup role to help bridge the gap to Craig Kimbrel. The price for Hand is not going to be cheap either. One of the names that keeps popping up for the Padres is Rafeal Devers. The Red Sox would not be smart to part with Devers as he has shown massive strides this year after his slump. Devers is going to be a star in this league and the Red Sox are going to do everything in their power to keep Devers on the roster. The front office is going to try and get Hand for as small of a price as possible, potentially packaging multiple prospects for one player. Even if Dombrowski has to give up Devers this deal would be a smart deal to make. Hand is under team control for a couple more years. He would provide the Red Sox with a backup plan if Kimbrel chooses to sign elsewhere in free agency next year. The main reason the Red Sox should still pursue this deal is the team is built to win right now and their window to win is this year. Any time a team has a golden chance to win the World Series like the Red Sox do this year. The team should pursue that at any cost. Holding onto prospects is never a good practice. This practice also could be a hinderance to some teams as they do not have the needed prospects to parlay into a deal that could set them over the top. Boston has very few needs, but the needs they do have need to be addressed if they wish to play far into October. Dombrowski has never been one to wait to see what everyone else is doing. The same thing should happen again, and Dombrowski may set the market for both a reliver and potential starter. He has put together a great team this year, and it would be to the benefit of the fans to trust him to bring home yet another World Series.